Social responsibility for us foremost is to support those charity goals and affairs that are closest to our heart. It's community builder and creative power has a positive impact on BB'z's atmosphere and also in unity with the mentality our motto is implying: It's cool to be nice! Support the United Way Hungary Intelligent Reading charity campaign with us! By purchasing a T-shirt at BB'z, you can help children in need to get a real chance of catching up with the help of an innovative and child-centric experiential education method. The limited edition "Read it" charity festival t-shirt price is 6.000 Ft.
An ordinary by-passer can play a key role in finding a lost dog. Only in the past two years, thanks to the microchip reader network of the Vigyél Haza Foundation, hundreds of them were able to return home. With the reader at BB'z you can easily check if the dog you have found has a chip. And if you order from our Virtual Dogmenu you, the price of the order will support the dogs of the shelter at Illatos út. Every day from 12am to 4pm you can meet with us Szandra and Ági, who work with BB'z thanks to the Down Foundation. One of the main objectives of the Foundation's complex service system is to help adult, mentally disabled people to lead an independent life with professional support. The most important element of assisted self-life is work and income earned from work, from which self-sufficient life can be financed. Since 2012 Bagázs has been working for a more receptive and accepting society in which Romany people have a chance to achieve their goals. The association does not distribute donations but provides opportunities for change. It provides a tool for the Romany social groups to recognize and express their needs and sensitizes people belonging to the majority of society to become more receptive. 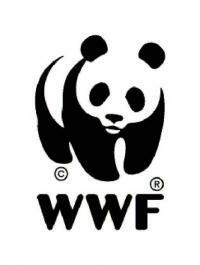 WWF is on of the world's largest organization working in the field of wilderness preservation. It's main objective is to preserve the diversity of wildlife, to exploit resources in a sustainable way and to reduce pollution. Hospice is not about the end of life but about that it's still on going. To preserve the life-long dignity. The activity of the Hungarian Hospice Foundation affects almost every Hungarian family, because there are hardly any families in which there has been no case of cancer. The foundation cares for cancer patients who can no longer receive healing treatment. For them professional care and analgesia is a great help and last but not least the service provides an extended emotional support for the family too.